Yahoo! 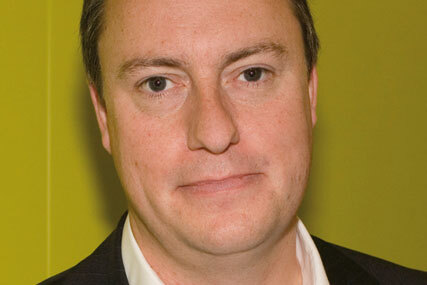 has appointed James Wildman as managing director and vice-president of sales for Yahoo! UK & Ireland, replacing Mark Rabe who leaves at the end of the year. Wildman is currently managing director Ids, Virgin Media's sales house. He will join Yahoo! in January where he will be responsible for increasing reach and engagement among users with properties such as Yahoo! 's Premier League highlights. Wildman has nearly fifteen years of experience working in senior sales and management roles in the media industry at the likes of GMTV and Universal Studios Networks. He has been at Ids for the past decade and at the helm for the past five years. Ids is set to close after 14 years of business at the end of the year following the loss of the UKTV account to Channel 4 today. More than 100 people currently work at Ids, including executive sales director Martin Plant, Andrew Atkinson, director of sales and Stuart Flint, director of digital. Steve Brown, Yahoo! 's sales director, Paul Thompson, strategy director and Guy Beresiner, head of commercial development will report to Wildman in his new role. Wildman replaced Rabe who will go back to the US at the end of the year. He joined search marketing business Overture in 2002 as vice-president of operations. Rabe became senior vice-president of Yahoo! in 2005 after it had acquired the business. Christophe Parcot, Yahoo! EMEA vice president of sales, said: "Yahoo! is delighted to welcome James to the team. He embodies all that we need for our UK business – a heavyweight in the UK media sales industry with hugely relevant experience that can build on the great success and momentum of the past two years." Wildman said he felt he was joining Yahoo! "at exactly the right moment", believing the business is well set for deeper engagement with both consumers and advertisers. Is Yahoo! CEO next as three senior execs quit? Is Yahoo! preparing to take stake in Hulu?